With unrivaled professionalism. dedicated equipment care and steadfast loyalty to you, our customer, U.S. Mechanical Company upholds a truly American spirit of service. Our strength is in our high standards of job performance, and we are motivated to achieve excellence. U.S. 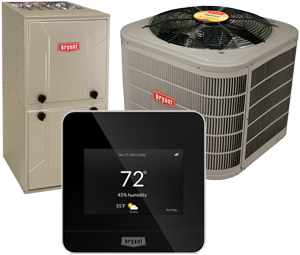 Mechanical Company provides the necessary upkeep of all makes, models, and styles of A/C equipment. For one-time upkeep or a comprehensive service plan, contact U.S. Mechanical Company at 303-622-2447. We provide affordable, effective and sustainable solutions to all manner of Indoor Air Quality. Since 2009, U.S. Mechanical Company has upheld higher standards of quality in residential and commercial heating, cooling, air quality, and refrigeration products and strategies across Strasburg, CO and surrounding areas. We offer our customers reliable and competent service at a fair and honest price. Through prompt arrival, courteous treatment, and unwavering integrity we simplify everyday demands, save you money, and add convenience and comfort to your life. Contact U.S. Mechanical Company at 303-622-24HR (2447) for new installation, retrofit projects, essential upkeep, and skilled repair. U.S. Mechanical Company is available to serve your needs and resolve sudden malfunctions 24/7, year round, throughout Strasburg, Byers, Bennett, Watkins, Deer Trail, Agate, Kiowa & Elizabeth, CO. Our NATE, OSHA, and CFC Certified technicians continually pursue training, improve our methods, and share new ideas to ensure peak return from our services. Focusing on environmental responsibility, we keep residential and commercial equipment in prime condition and running at optimum efficiency. Whether you’re looking to optimize the health, comfort, management, safety, or bottomline of your home or facility, we combine the caliber of job performance, expertise, and range of products to deliver results that exceed expectations. Please contact U.S. Mechanical Company at 303-622-2447 for more details. Limit one coupon per customer. Cannot be combined with any other offer. We are proud to employ the best and most experienced technicians in Colorado to assist with all your HVAC needs.